BLOG Commitments: Are You a Bulldog or an Opportunist? Commitments: Are You a Bulldog or an Opportunist? Are You a Commitment Bulldog or Opportunist? Once I make a commitment, I move heaven and earth to fulfill it. I am a commitment bulldog. I want others to see me as a dependable, accountable, and competent individual. These and other excuses are often followed by “…but of course, you understand,” as if the recipient would naturally act the same under similar circumstances. Bulldogs make commitments, but only when they are certain to fulfill them. Opportunists make commitments routinely, but often do not honor them due to CHANGED IMPORTANT CIRCUMSTANCES. That is why Commitment Bulldogs appear less helpful. Though less reliable, Commitment Opportunists seem more positive and friendly because they fulfill others’ immediate need for certainty. Commitment Bulldogs make commitments when fully dedicated to fulfilling their promise. Commitment Opportunists eventually see some commitments as restricting their individual freedoms. Some colleagues make commitments easily without evaluating the requirements to fulfill them, reneging at delivery time. To fulfill a commitment demands time and effort to assess the feasibility prior to making that commitment. I individually strive to be more flexible regarding commitments, both others’ and my own. At times, I need to allow myself to negotiate a change. What challenges do you face regarding commitments? 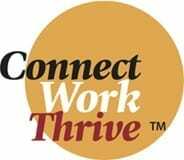 Make your individual commitment to join us in person at our next Return to Work You Love Conference, as we wrestle with these and other career and work-related issues. Have Career Change questions? Schedule time with me to discuss them!